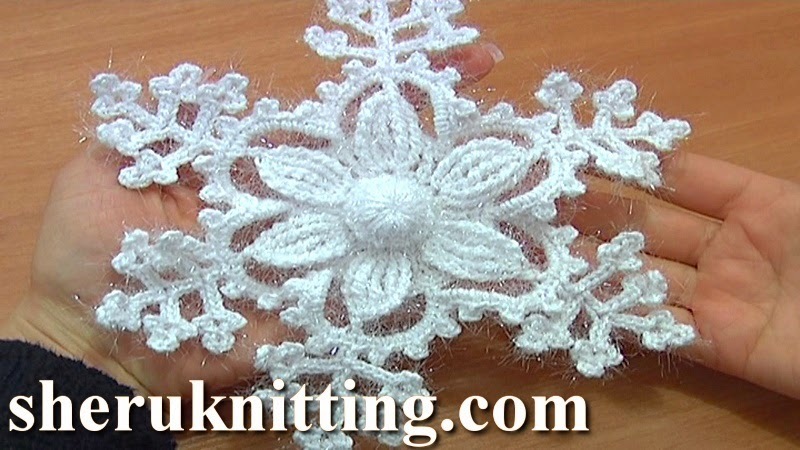 Make this beautiful snowflake as a decoration for your winter holidays. In this part we crochet the center for the snowflake -- it is a beautiful 6-petal flower where each petal made of complex stitches worked through the stitches on the first round. Round 2 and 3 are behind the petals and can not be seen from the front. This flower you can use as a separate element. Thanks for watching!